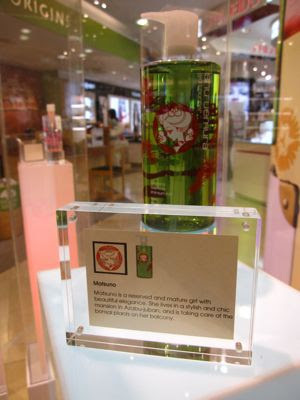 Last Sunday, my buddy Mag from Makeupstash.com and I were hosted by the lovely folks at I Nuovi at their Suntec City store. Over the course of two hours, Bob Mubarak, the I Nuovi corporate trainer, introduced their product range to us and patiently answered our truckload of questions. I enjoyed the session immensely as Bob was the kind of extremely easy-going, friendly makeup artist with a great sense of humor who instantly puts you at ease and never talks down to you or preaches certain makeup 'rules'. 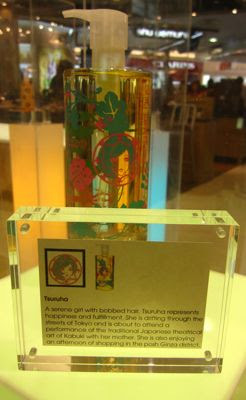 His product knowledge was fantastic as he is also involved in product development for the company. 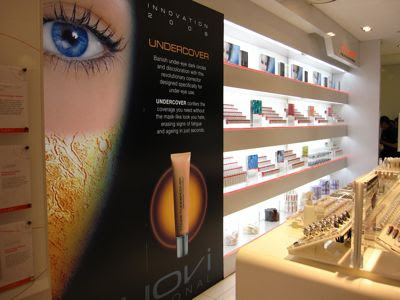 I Nuovi was started in 1996 by a Singaporean biochemist and two Singaporean makeup artists. The latter two are no longer with I Nuovi but I Nuovi has continued to grow from strength to strength. 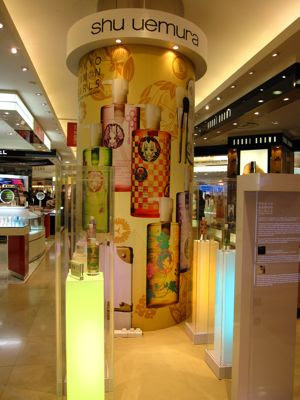 It currently retails in 10 countries, with Hong Kong being one of its largest markets. 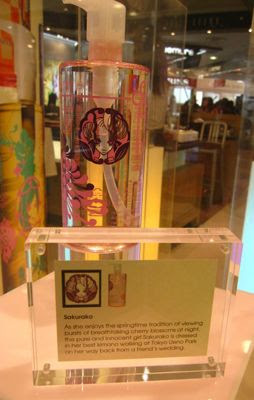 The products are developed and manufactured in France, Japan, the Italy and Germany and are formulated to be fragrance-free, cruelty-free and non-comedogenic. To be honest, I've never tried I Nuovi up until now but it was very interesting to learn from Bob about the history and development of the company. 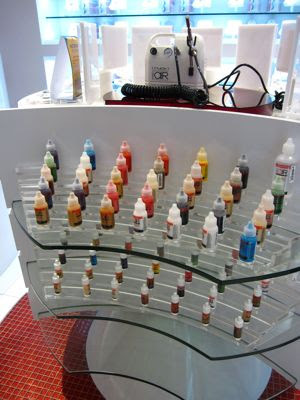 I was also impressed by the comprehensive line of products, which are easy to use and feature a diverse array of shades that allow you to be as creative as you wish. 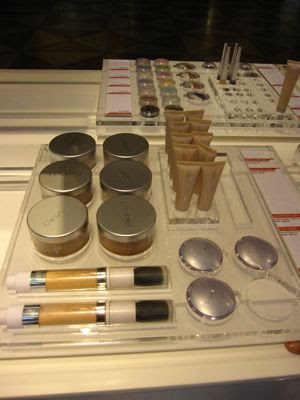 I Nuovi also sells some products meant for pro makeup artists, such as its Proair airburshing system which we got to play with. This is the wonderful Bob explaining the Lash Bar to us! 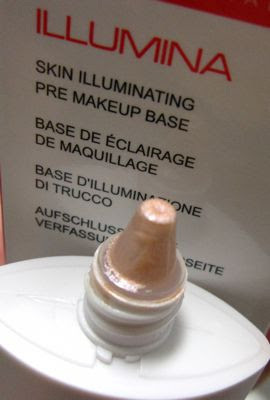 I also picked up the Illumina Skin Illuminating Pre-makeup Base in Aura (S$48). 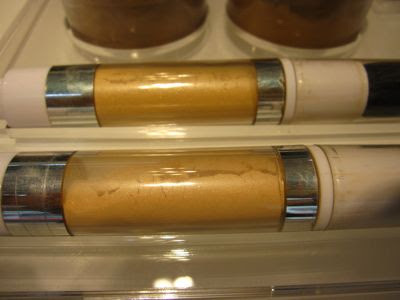 This contains multi-reflective pearl to make your skin more glowy when used under foundation. 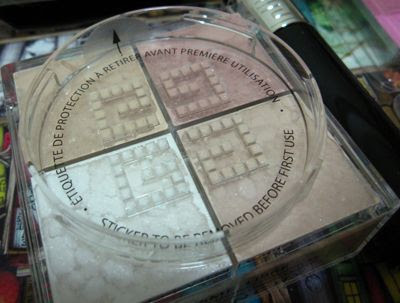 This has a very lightweight, non-greasy texture and helped my powder foundation apply more smoothly. I liked that it did not cause my skin to get greasy quickly. Overall, the glowy effect is quite subtle and you don't have to worry about looking like a disco ball. 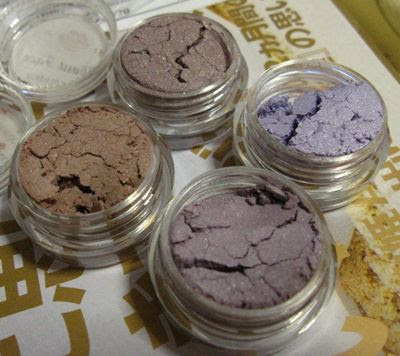 According to Bob, their Eyeshadow Perfecting Base (S$31) is incredibly popular in Hong Kong where some clients use it not only on their eyelids but also all over the face because they liked how it makes their makeup last. 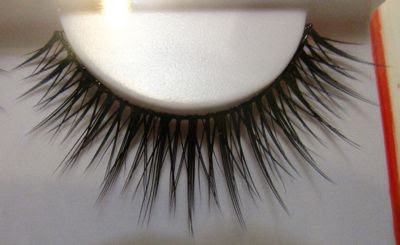 After about 10 hours of wear today, I found that there was only some light creasing at the inner corners of my eyes. 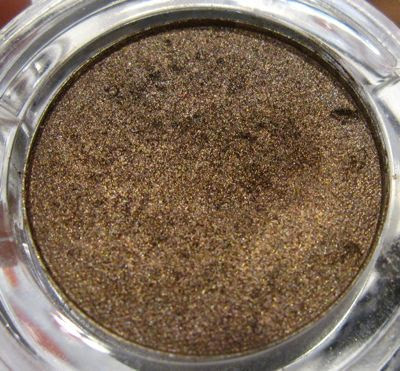 The rest of my eye makeup was still creaseless and the colors had not oxidised or faded. 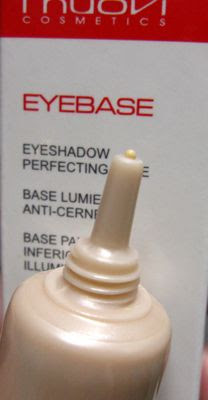 It is comparable to my current staple, Testimo Eye Bright Up Base except the I Nuovi base is not as shimmery. 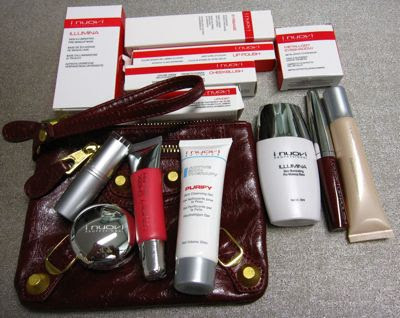 The I Nuovi staff also gave us a generous gift bag! 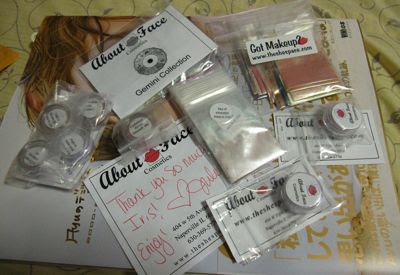 I received the Lip Polish in Vanilla (strange name for such an intense shade), Lip Moist Lip Conditioning Treatment Balm, Cheekblush in Fashionista, Metallogy Eyeshadow in Tin and the Purify Skin Cleansing Gel. 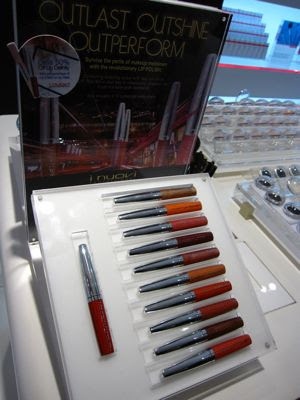 The Lip Polish is a newly launched range of pigmented lipglosses with intense shine. 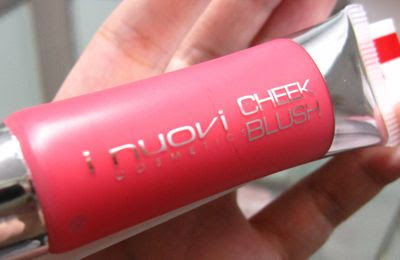 It gives an intense pop of color and was quite longlasting without drying out my lips. I also liked the fact that it was not sticky and did not 'bleed' into the fine lines around my lips even after a few hours of wear. 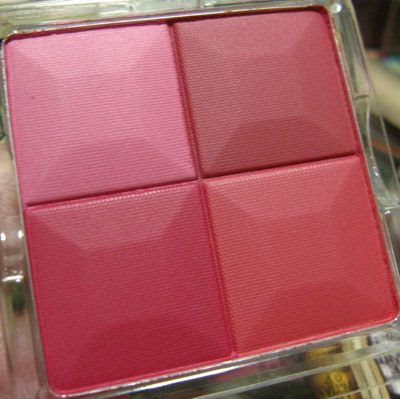 The Cheekblush, which is available in four shades, has a similar texture to Becca's Beach Tint, very lightweight, easy to apply and blend for a natural tint of color without any stickiness. 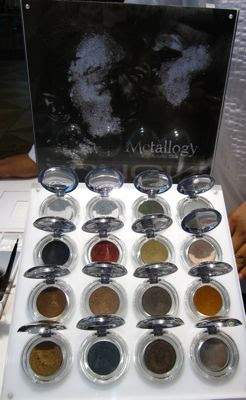 I also highly recommend checking out the new Metallogy range of eyeshadows which was launched last fall. 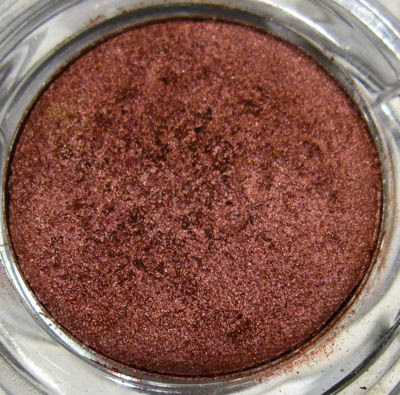 This has an incredibly silky, rich, almost wet-feeling texture similar to MAC Veluxe Pearl and Bobbi Brown Metallic Eye Shadows. 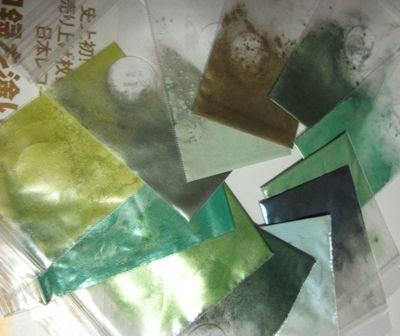 The current range of shades is quite limited without any greens or blues but more shades will be introduced in the months to come. 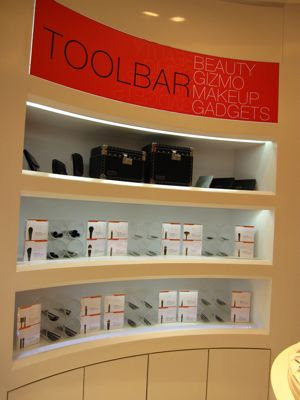 Here's a pic of the Metallogy display and some other shades. 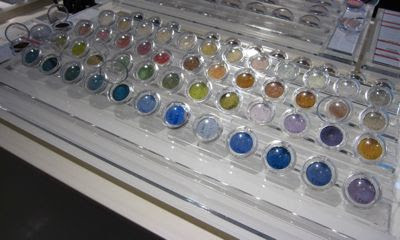 This is I Nuovi's older range of eyeshadows. 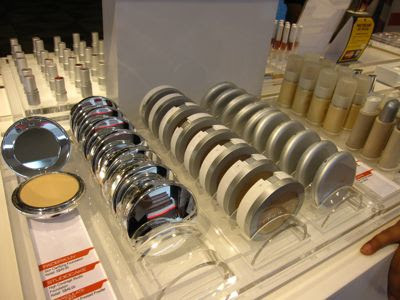 The domed packaging will be phased out and replaced with a flat cover packaging for greater ease of storage. 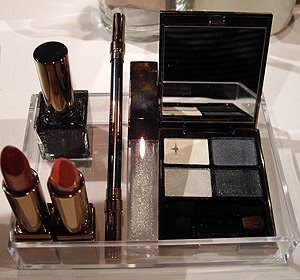 Here's the base makeup range. 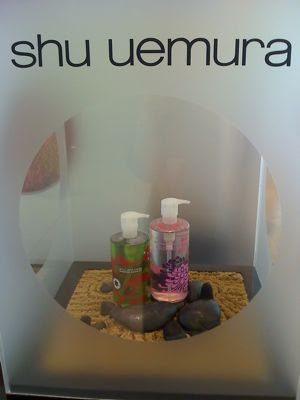 All in all, it was a very educational session and the I Nuovi staff made us feel so at home that the time just flew by. 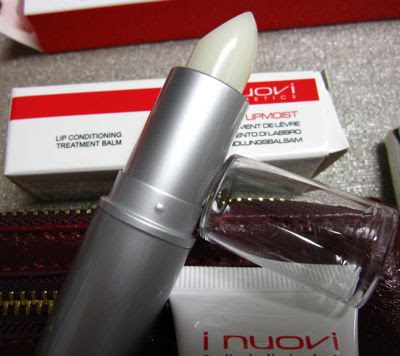 Many thanks to Mag as well for introducing me to I Nuovi! My haul from The She Space landed in my post box yesterday! This was the order I placed to take advantage of the free 20-sample pack promo. I placed the order on 2 June and received it on 29 June. This is the Hope Quest Quad (US$15) which Heather created after the suicide of one of her longtime clients. With each quad, you get two Hope No Matter What Full full size pigments to give away to a friend, along with a small card with a message of hope. I think it is a wonderful initiative as speaking from experience, a small gesture can mean a lot to someone who is going through a dark period. Sometimes a little human contact is all that's needed to brighten up someone's day and let them know that someone is thinking of them or cares for them. You can read more about Hope Quest here. 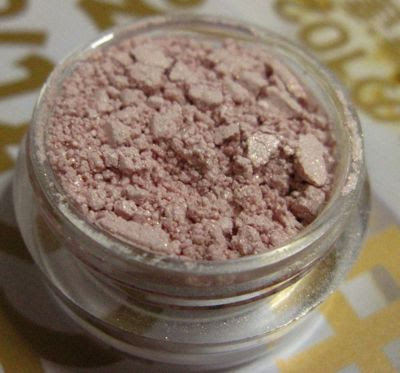 I was eagerly anticipating trying out Cashmere Kisses in Smooch Me (5g, US$6) which is an all over face powder with just a hint of sparkle for a glowy luminous effect. 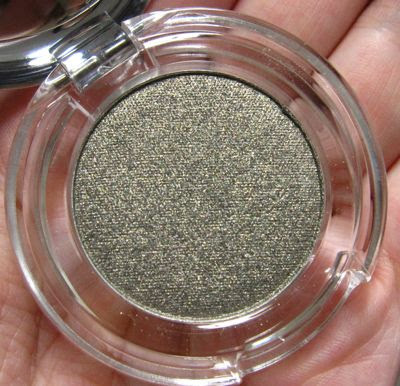 I tried it out today and loved the velvety, dreamy finish. My skin still got oily and required blotting after a couple of hours though. The pot is super tiny so I doubt it will last more than a couple of weeks with daily use. 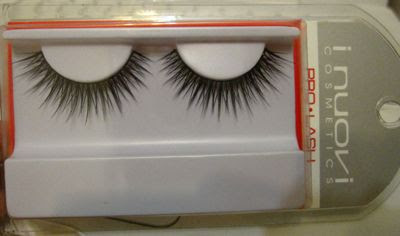 This is also available in 10g (US$10) or 20g (US$18) sizes. 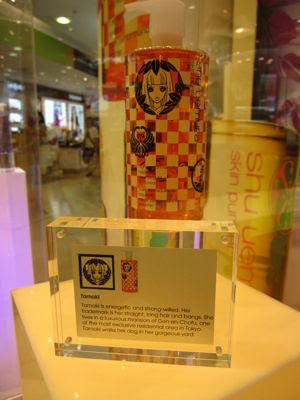 The limited edition Kiss of This and That collection from May. The Gemini collection. 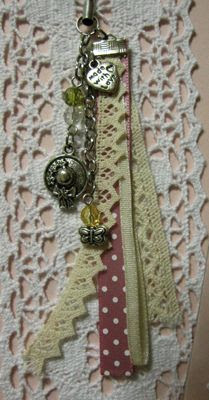 TSS has also just launched the silver/pearl-themed Cancer collection. 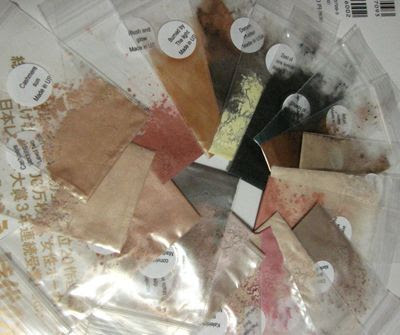 And my free sample pack, including the brand new Cashmere Sun! 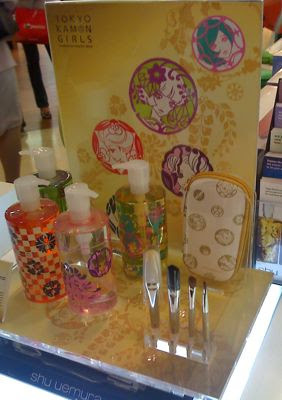 Biteki posted these pics from the Lunasol press event for the fall '09 collection, Stardrop Purification. 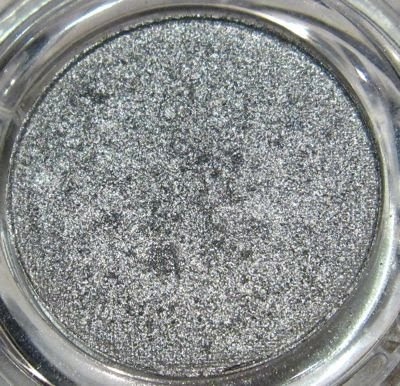 The Star Shower Eyes palette names all run along the theme of a certain moment in the night, such as "Start of Night". 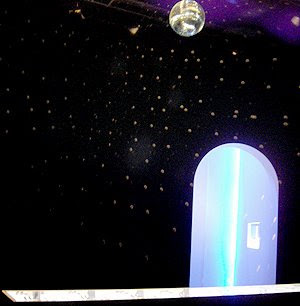 The event space was also decorated with stars in line with the collection theme. 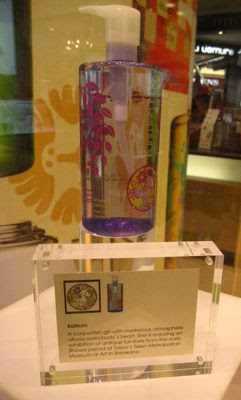 Esprique Precious will launch a new Dramatical Veil Pact (Moisture) powder foundation (3360yen for refill, 1050yen for case) and Dramatical Veil Liquid foundation (4200yen) for fall/winter on 21 August in Japan. 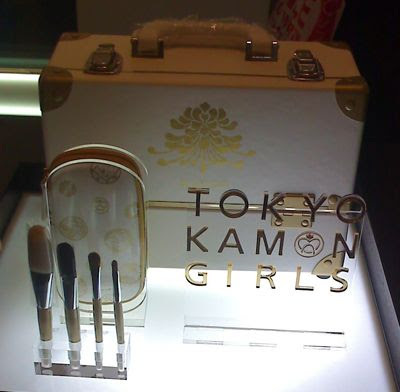 Both come in 7 shades but the pact version has a higher SPF 20 and PA++ while the liquid version has SPF17 PA++. 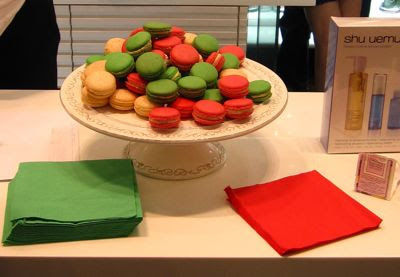 The pact foundation is supposed to give a marshmallow veil effect. Tempted by news of Lunasol quads going for S$35, I ventured to the Robinsons sale at the Expo today with my boyfriend in tow. 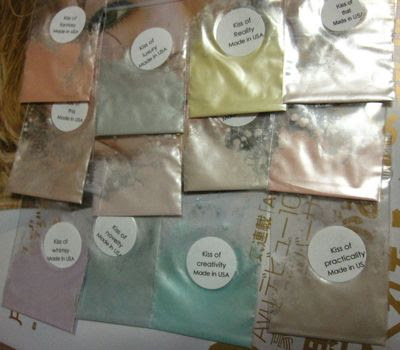 My buddy, Mag from Makeupstash.com had already helped me pick up the Sheer Contrast Eyes #3 Green Coral and Noble Shade Eyes #4 and #5 palettes yesterday. 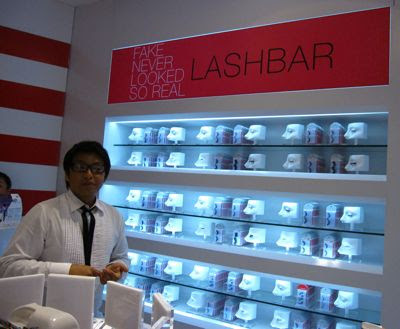 It was quite a pleasant shopping experience as there weren't any crowds around the makeup stalls, which meant the SAs were relaxed and I could browse at ease. After picking up some more Lunasol quads and a Coffret D'Or Combient Rouge as a CP for a friend, I stopped by the Givenchy counter where most items were going for 50% off. 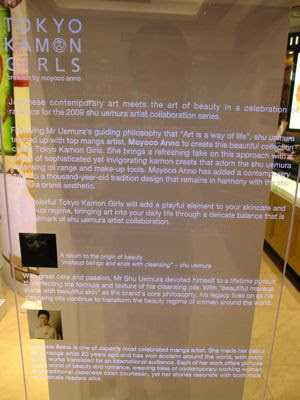 I was suprised to find the Phenomen'eyes mascara on sale at only $30 as it was launched in Singapore just a few months ago. In the end, I ended up hauling it, plus a few other items. 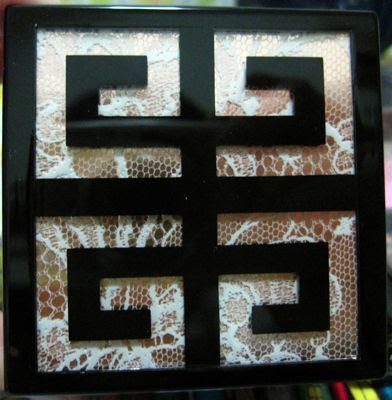 Although I already have a truckload of face highlighter/shimmer powders, the delicate lace design on the cover of the Prisme Libre #71 Sparkling Dentelle ($38) proved irresistible. I also got these Prisme Again! 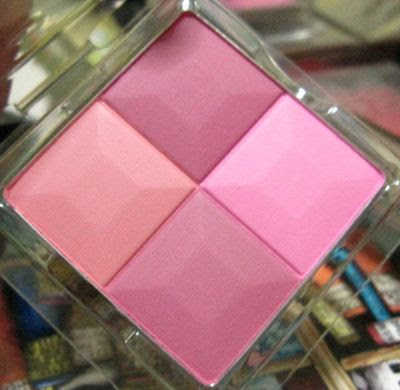 blushes in #2 Loving Pink, #4 Charming Violet and #6 Red Passion ($20 each). 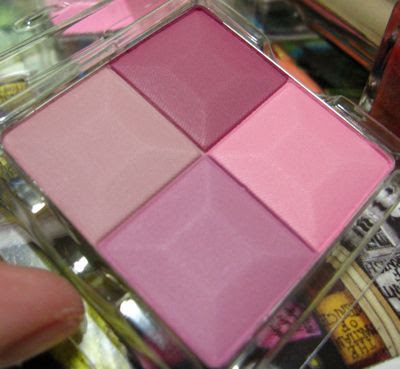 They were only available in refill form, which I did not mind as I can easily insert them into another empty compact. 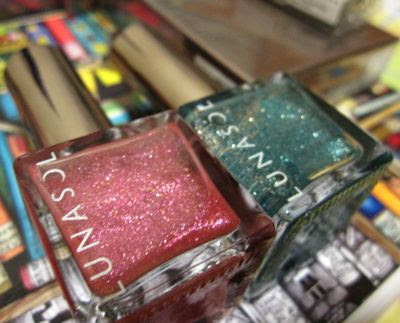 Lunasol nail polishes #26 Shining Pink and #28 Splash Green. Another steal at only $10 each! At a flea market in Playground @ Big Splash in East Coast Park, I also picked up these cute little Belle Maison handphone accessories for $9.90 each. 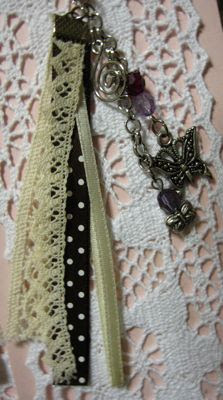 The pink cardboard and white lace is the packaging, and not part of the accessory.